Celebrate Alaska Beer Week, Jan 15 – 24! Alaska Beer Week! 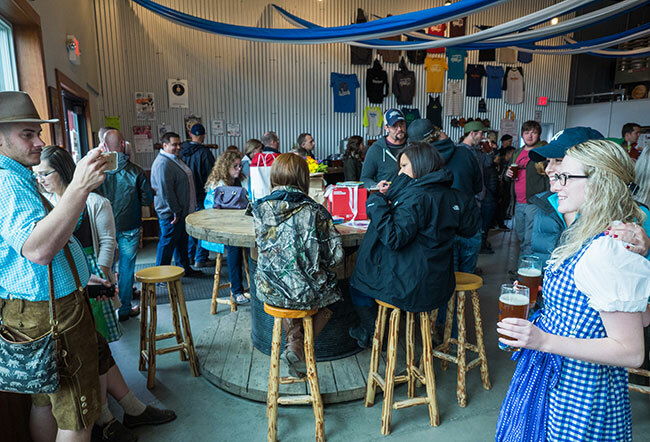 10 days of frothy fun celebrating all things craft beer in Alaska. In addition to our popular Barleywine release, we are showcasing local food vendors, running a great social media contest, and tapping some cask beers…all things craft beer lovers will find awesome. We are finalizing some details that we’ll announce soon, but below are some highlights. If you’d like to follow along on Facebook, check out the event page, too! 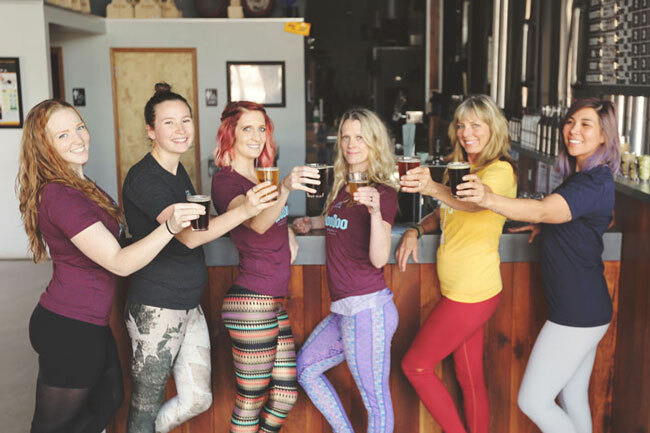 5:30pm: KICK OFF AT HooDoo – 2nd Annual Beer Church (group toast). Be sure to be here for the fun and video! Also that day, we’ll launch our AK Beer Week photo competition on Facebook, Twitter and Instagram. Participants are encouraged to share how they are enjoying AK Beer Week by posting on social media by tagging #AKbeerweek and #HooDooBrew. 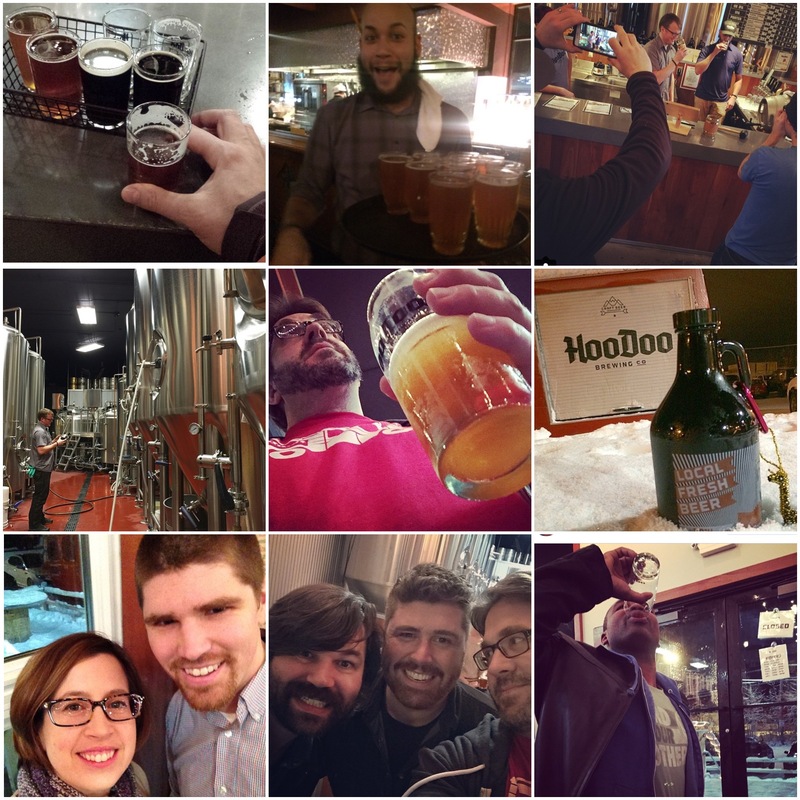 Photos of the day will be chosen, and an overall #AKBeerWeek HooDoo Photo Guru will be crowned on Sunday Jan 24. Our 2016 Guru will win a custom growler along with other prizes, and the opportunity to be an exclusive guest Instagrammer for HooDoo in 2016. NOON: New Release – The much anticipated HooDoo Barleywine 2016 will be tapped, on cask and on draught. Barleywine 2016 is our interpretation of a classic English Barleywine; the strongest of all the English Ales and a showcase of intense malt flavor and complexity. 11am until 8pm: Local food truck Frostbite Farms will be here with their AK Beer Week menu and weekly favorites. 2pm, 3pm and 4pm – Brewery Tours. 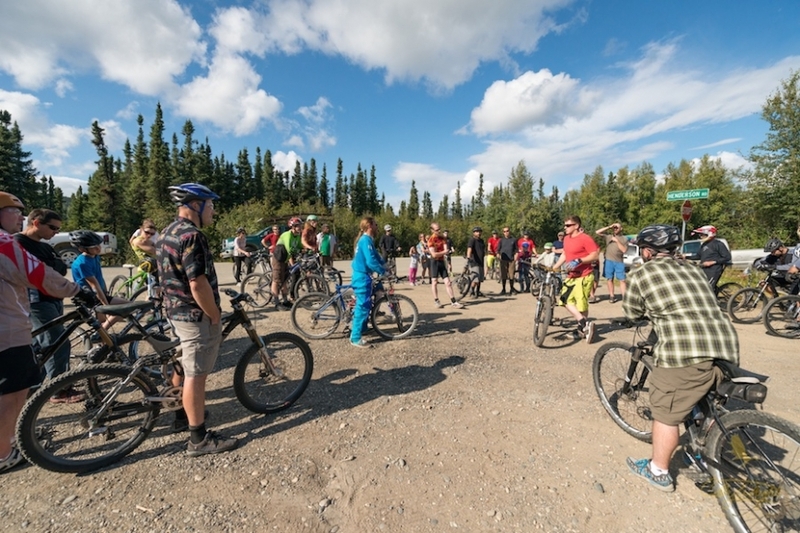 See how it’s made during a tour of HooDoo. Brewmaster Bobby will lead a group of up to 15 people. Reservation recommended by calling 459-BEER or by signing up in the taproom. Having a beer while on tour is encouraged. Free. BEER DINNER: Grab your tickets. Call Lavelle’s at 455-0555 to reserve your spot! On Monday, Jan 18 at 7pm, Lavelle’s Bistro will host a special beer dinner. 5 courses expertly paired with our beers. Dine with your local brewer and crew! $60pp, only 50 tickets are available. 3pm – Beer Release // HooDoo Barleywine Verticals (ONE DAY ONLY!) – If you missed the lusciousness of our Barleywine, here’s your chance to be hugged by its velvety goodness. From the cellar, we’l be tapping 2013, 2014, 2014 Barrel-aged Barleywine blend, 2015, 2016. No growler fills of these rarities, but 4oz. Barleywine flights and 8oz. individual vertical tastings will be available. 3pm-8pm: NEW BIERGARTEN FOOD VENDOR! We’re pleased to debut a new local food option, The Hungry Robot, the Sugar Monkey’s sister company. They have a beautiful, custom wood-fired pizza oven and will be on hand all week serving wood-fired pizzas, dessert calzones (nutella! ), and fresh bread sticks. All housemade with fresh ingredients – should be delicious! 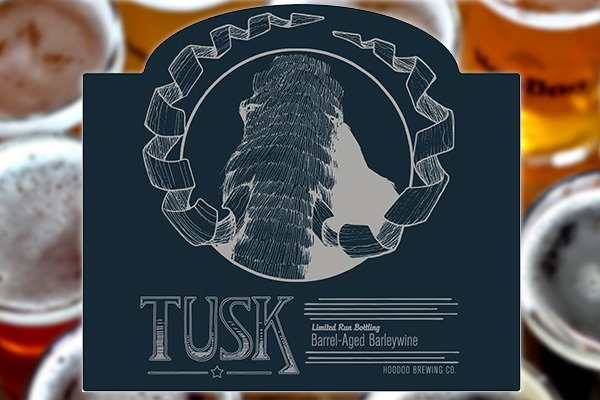 Whiskey barrel-aged, hand-bottled, numbered limited-release – TUSK Barleywine will be available Wednesday Jan. 20. 3pm: NEW BEER RELEASE! We are pleased to release our limited run bottling of TUSK, our whiskey barrel-aged English Barleywine. For TUSK, we aged our 2014 barleywine one-year in wheat whiskey barrels from Dry Fly Distilling. Smokey, rich and malty this is a perfect beer for celebrations and cellaring. $28/750ml bottles, limit 1 case per person. 3-6:30pm – Cheese + Beer sampling in the Taproom with Fred Meyer’s Murray’s cheesemongers. Sample expertly paired, high-quality cheese with local cheesemongers from Fred Meyer West. Cheese and fruit sample trays will be available for purchases, along with simple pairings and guidance you can use at your next gathering or dinner party. 3pm: CASK Stout w/ Candied Italian Sour Black Cherries – get a glass until it’s gone. 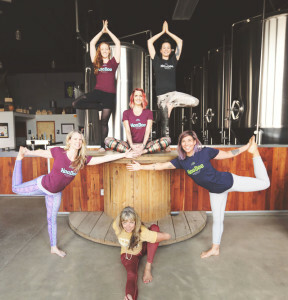 6pm: Winter Beer Runners group run presented by Goldstream Sports. Choose your distance. NOON: #AKBeerWeek #HooDooPhotoGuru announced, FTW!